This blog will be taking some time off over the next few days to celebrate Canada's 151st anniversary. We'll be back with all new stories on July 6th, 2018. The annual summer "silly season," a period when the news cycle seemingly lessens in intensity starting around the July 1st Canada Day holiday and finishing up during the Labour Day long weekend in September, seems to have come a few days early this year. 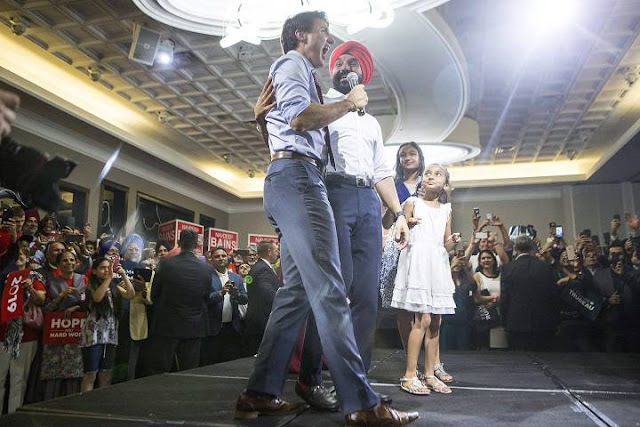 Amidst chants of "This is What a Liberal Looks Like," Canadian Prime Minister Justin Trudeau appears onstage with Liberal MP Navdeep Bains during a nomination event in Mississauga, Ont., on Wednesday, June 27, 2018. At the event, which one political commentator compared to scenes in the 1992 American-British satirical mockumentary film "Bob Roberts," Bains was nominated and acclaimed as the Liberal candidate for Mississauga-Milton for the 2019 general election. Photo c/o Chris Young / Canadian Press. As outlined in the June 27th, 2018 Canadian Press post, "Federal Election 2019: Navdeep Bains becomes 1st Liberal candidate to be nominated," the Liberal party has begun to nominate standard bearers for next year’s federal election, which under law must take place on or before October 21th, 2019. The Liberal's first candidate, incumbent Navdeep Bains who represents the riding of Mississauga—Malton in the House of Commons, is also the current minister of innovation, science and economic development (ISED), a portfolio responsible for the Canadian Space Agency (CSA), the National Research Council (NRC) and a host of other science granting councils. To be fair to Bains and the Justin Trudeau government, they have been more than generous to Federal scientists and engineers. The 2018 budget commits approximately $3.8Bln CDN spread over the next five years for a range of new science programs. It's just that the Liberals haven't done very much for the Canadian space industry. As outlined in the March 8th, 2018 post, "Space Advisory Board Chair Admits Disappointment over Budget but Promises to Continue to Support Space Sector," the Federally mandated Space Advisory Board (SAB) was "certainly disappointed that space was not included as a key theme in the 2018 Federal Budget." In fact, none of the SAB recommendations have so far been adapted by the Federal government. Several space industry scientists and engineers attended the Wednesday nomination meeting and, rumour has it, they had a chance to talk with Bains about rocketry, planetary exploration and the sad state of the Canadian space program. Bains presented well, but made no promises. The event was good political theatre but no one said space or rockets or made any new Canadian committments relating to science, the Moon or Mars. Bains is smart. He knows that he's trading on access and kind words and that's enough for tonight. Later on will come the need for the hard political wheeling and dealing needed to be re-elected. Hopefully, his guests also understand this and aren't caught up in the political theatre or overwhelmed by the singing. Bains surrounded by adoring fans after his nomination on June 27th, 2018 in Malton. Photo c/o Al Calder. In a few days, the attendees will likely get an e-mail from someone affiliated with the Liberal campaign who will ask them for money. Then the real horse trading will begin. That's the way these events work. As outlined in the February 8th, 2017 Hill Times post, "The Top 100: Navdeep Bains, the 'minister of everything'", Bains has been ranked as the 4th most influential Canadian politician behind Prime Minister Justin Trudeau, his chief of staff Katie Telford and senior Liberal party political adviser Gerald Butts. Editors Note: Those anticipated e-mails requesting funding for the upcoming campaign have begun arriving. As outlined in a June 29th, 2018 email from Ishmael Azam, the national director of the Liberal Party of Canada, "In the last election, our platform was built by doing one simple thing: having real meaningful conversations with Canadians, and listening carefully to what they had to say." As expected, there doesn't seem to be anything in the list of Liberal party options which relate to space, rockets, planetary exploration or the sad state of the Canadian space program. Besides, according to the e-mail, we're only supposed to pick one. Better luck next time, Liberals. Vancouver BC based UrtheCast has reported that all resolutions put forward at its June 25th, 2018 annual general and special meeting (AGM) were passed with strong, but not universal, support from UrtheCast shareholders. The election of four new and two returning directors. An amendment to increase the number of permitted directors who are not Canadian residents to 75% in accordance with the residency requirements of the Business Corporations Act (Ontario). The appointment of PricewaterhouseCoopers LLP (PwC) as corporate auditor. Based on proxies received in advance and voted at the meeting, 44,081,427 common shares of UrtheCast, representing 36.3% of the issued and outstanding common shares were voted. This is an increase from 22% of issued and outstanding common shares voted at last year’s annual meeting. Mark Piegza, a US based investment banker, who also co-founded and acts as CFO and director of Dulles VA based US Space LLC (with 86.23% of the voted shares in favor of his election). Adam Vore, another US based investment banker, currently acting as the managing director of Seaport Global Securities (86.26% in favor). Andreas Georghiou, a well respected US based satellite industry executive (83.43% in favor). John (Jack) Shannon, a New York attorney who for the past 14 years was a managing director and head of compliance for investment banking and capital markets at NY NY based Bank of America Merrill Lynch (83.42% in favor). As outlined in the June 1st, 2018 post, "UrtheCast Receives a Vote of Confidence from American Investors," the new additions are believed to have been critical for putting together the funding of the UrtheDaily™ constellation. Their appointment to the board is considered by the broader investment community to be "a vote of confidence" on UrtheCast's future prospects, according to sources. The new directors will join former Canadian Space Agency (CSA) president William "Mac" Evans, who's been a director since June, 2013 (75.38% in favor) and James Topham, an accountant with Vancouver BC based KPMG, who's been a director since May, 2015 and also chairs the UrtheCast audit committee (75.39% in favor). As outlined in the June 22nd, 2018 post, "New UrtheCast CEO Don Osborne Belongs to a "Secret Society," UrtheCast appointed a new CEO last week. National Geographic has partnered with Netherlands-based augmented reality (AR) provider Aryzon to create an open-air planetarium in Quebec, using AR to project images into the night sky for an unorthodox take on astronomy. AR is a means of integrating digital information (text, graphics, audio and video) into the real world. AR systems typically use cameras, microprojectors and mirrors to project digital information onto a person’s field of view. Some AR devices (such as Microsoft’s Hololens and Google’s ill-fated Google Glass) project information onto glass lenses in headsets. Others, such as the hype-laden Magic Leap or Intel’s Vaunt, use low-power lasers to project information directly onto a person’s retinas. AR apps are already available on smartphones, including Google Lens, Yelp’s Monocle and Wikipedia’s Wikitude. AR’s potential applications in the consumer, scientific, industrial and military realms are numerous. 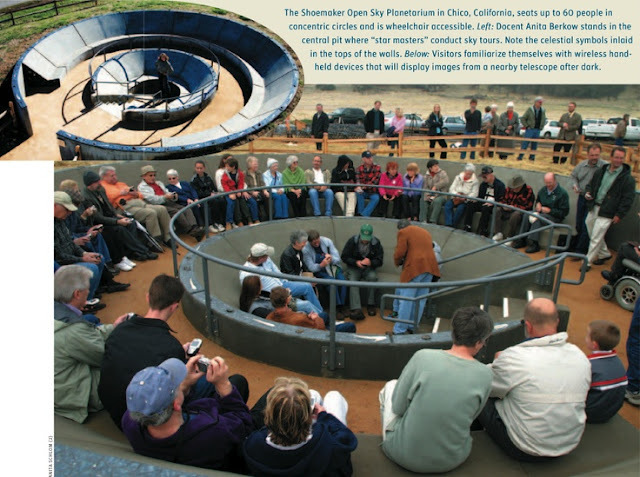 As outlined in the June 24th, 2018 National Geographic post, "National Geographic uses augmented reality to create world's first open-air planetarium in Canada," the show, dubbed "ObservEtoiles" is located in the Au Diable Vert wilderness preserve in Glen Sutton, Quebec. Au Diable Vert was recently certified as Quebec's second ‘Dark Sky Reserve’ by the International Dark Sky Association, one of only 14 such sites around the world. The IDSA is a US-based non-profit group seeking to combat ‘light pollution,’ human-generated light which advocates claim impedes astronomy, wastes energy and disrupts ecosystems as well as human biological rythms. Opened on June 23rd, ObservEtoiles allows up to 180 visitors to observe the night sky with a digital overlay showing the names of the constellations, stars and planets. During each two-hour show, guests are seated 304m above sea level in a mountain-side amphitheatre specially-built for ObservEtoile. The space, created by Lakeville, MN based Arena Comfort Products, is equipped with heated seats, enabling the facility to be used in all weather conditions. Using Aryzon AR headsets, visitors can observe the stars and planets digitally overlaid with a selection of 17th-century illustrations of the constellations without obstructing their line of sight. The imagery comes courtesy of Star Chart, an application developed by Guildford, UK based Escapist Games running on Asus Zenfone 3 Zoom smartphones. After the show, users may keep the headset (minus the smartphone) and use the Star Chart app to explore the stars from home. Open-air planetarium's, such as the Shoemaker Open Sky Planetarium (which opened in 2006) aren't new. It's combining the open air experience with the VR capabilities of current cell phones which provides a new experience for both astronomers and amateurs. Graphic c/o Starizona.com. ObservEtoiles is narrated by Andrew Fazekas AKA the ‘Night Sky Guy,’ a science writer, broadcaster, and lecturer who regularly contributes to National Geographic and The Weather Network. He is also a consultant to the Canadian Space Agency (CSA). Astronomy has traditionally required a certain ruggedness; long hours spent at night amid heat, cold and insects. Modern tech has now made it a more pleasant experience for all. New UrtheCast CEO Don Osborne Belongs to a "Secret Society"
Going into what is expected to be a "lively" annual general meeting currently scheduled for Monday June 25th, Vancouver, BC based UrthCast has announced that Ex-MDA president Donald F. Osborne has been appointed as its new CEO. He probably doesn't belong to the illuminati, although the one eyed portrait is certainly evocative. But new CEO Osborne is one of dozens of ex-Macdonald Dettwiler and Associates (MDA) employees who have left to join UrtheCast over the last several years. Photo c/o Rob Kruyt/ Business in Vancouver. Osborne, who until November 2017 headed up the MDA information systems group subsidiary of Colorado based Maxar Technologies, isn't the only ex-MDA employee hired by UrtheCast over the last few years. A quick search through LinkedIn, the employment and business-oriented website, where many UrthCast employees store their online resumes, will uncover dozens of others. They include EVP of operations Peter Duggan (an ex-MDA program director), CTO George Tyc (until 2012, the ex-technical director of small-sats at MDA), principal engineer Joe Steyn (who held the same title at MDA until 2016), director of software engineering Chris Rampersad (who worked at MDA until 2013) and many, many more. Even UrtheCast co-founder Wade Larson worked at MDA as VP of business development until 2012. As outlined in the October 12th, 2017 post, "Osborne Steps Down at Canadian MDA as it Responds to Questions About its US Based "Maxar" Future," Osborne's resignation came as a bit of a surprise to his MDA colleagues. No doubt, and as outlined in the June 1st, 2018 post, "UrtheCast Receives a Vote of Confidence from American Investors," Osborne's first days at his new job will include a few new surprises. Osborne's appointment was made public earlier in the week, as per the June 19th 2018 UrtheCast press release, "UrtheCast Corp. Appoints Donald F. Osborne as Chief Executive Officer." After well over two years, the new, private sector commercial ground station built by Inuvik, NWT based New North Networks for San Francisco, CA based Planet and Norwegian based Kongsberg Satellite Services (KSAT) and profiled multiple times in this blog, has still not received the second of two sets of Federal government approvals needed to operate under Canadian law. Tom Zubco in Ottawa at the Special Senate Committee on the Arctic on Monday, June 18th, 2018. To see the complete presentation, please click on this link. Graphic c/o SenVu. It's gotten so bad that the Canadian Senate has become involved. On Monday, the Special Senate Committee on the Arctic held hearings to consider the "significant and rapid changes to the arctic," and how those changes have impacted the original inhabitants. Among the speakers was New North Networks CEO Tom Zubko. Most of what Zubko discussed has been previously discussed in this blog, most notably in the May 31th, 2018 post, "Inuvik Mayor Calls Feds "Not Forthcoming" Regarding Private Sector Commercial Ground Station Application," the March 5th, 2018 post, "That Commercial Ground Station Built by New North Networks in Inuvik Still Can't be Used" and the June 15th, 2017 post, "Telesat Supports Defence Budget But Inuvik Left Out & Teledyne Dalsa Employee Convicted of Selling Satellite Data to China." But a few items are worth repeating, most notably Zubko's statement that the real problem might be related to the capabilities of Global Affairs Canada (GAC), the Federal government department tasked with negotiating the second licence on behalf of Natural Resources Canada (NRCan), which is needed in order for the Inuvik ground station built by New North Networks to begin operation. Zubko referenced two mandated reviews of the Remote Sensing Space Systems Act (the Federal legislation under which GAC issues licences for satellite ground stations), authored by the Institute of Air and Space Law at McGill University in 2012 and 2017. Both reviews called the GAC "understaffed" and lacking in process, with no defined time frame to report and no defined check list of requirements needing to be fulfilled in order to insure that a licence is issued. According to Zubko, "well over $50Mln" has so far been invested in building the infrastructure required to support the Inuvik ground station, plus another $100Mln CDN to support the infrastructure needed to transfer the data to clients sites, and those funds are in danger of being lost because of the delay in issuing the second licence required to operate the ground station. According to Zubko, "we have a lot of advantages which are being wasted because of licencing delays" and a legislative situation which is "not condusive" to investment in Canada. Committee members in attendance included Senator Dennis Glen Patterson Chair (Conservative - Nunavut), Senator Patricia Bovey deputy chair (Independent Senators Group - Manitoba), Senator Mary Coyle (Independent Senators Group - Nova Scotia Antigonish) and Senator Paul McIntyre (Conservative - New Brunswick). 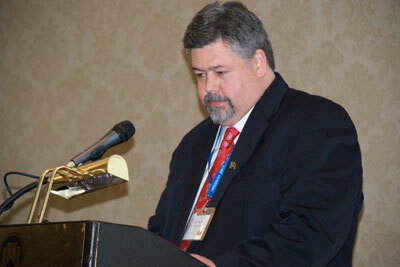 Kanata ON based First Air president and CEO Brock Friesen as also in attendance and gave a presentation. The full video of the June 18th, 2018 Special Senate Committee on the Arctic committee meeeting is available online here. US president Donald Trump continues to put his own stamp on American space activities, most recently at the June 18th, 2018 meeting of the National Space Council. The first initiative, as outlined in the June 18th, 2018 Department of Commerce (DoC) press release, "Space Policy Directive 3 Brings Space Traffic Coordination to Commerce," was expected, and a logical follow-on from previous policy outlined in April 2018 by VP Mike Pence and Commerce Secretary Wilbur Ross. The policy acknowledges the rapidly increasing volume and diversity of commercial space activity and announces that the Department of Commerce should be the new civil agency interface for space traffic management (STM) and space situational awareness (SSA). ...the Department of Defense will take the lead on developing an authoritative catalog of space objects; the Department of Commerce will be responsible for the releasable portions of the catalog for collision avoidance purposes; the Department of Commerce and the Department of Transportation will lead the development of standards and practices, and the State Department will lead US efforts to conduct these activities internationally with transparency. One of the goals of new policies is to track and reduce the growing threat of orbital debris by using a variety of mostly undefined (so far at least) private and public sector technologies. An overview of Space Policy Directive – 3 (SPD-3) is available online, as part of the June 18, 2018 Whitehouse.gov post, "President Donald J. Trump is Achieving a Safe and Secure Future in Space." The second part of the presentation, the part where Trump said he would direct the Pentagon to create a “space force” as a new branch of the US military to shore up American dominance in space, was also a logical progression of current US thought in this area. As outlined most recently in the April 2nd, 2018 post, "What George Friedman's 2009 Book "The Next 100 Years: A Forecast for the Next Century" Said About Space," the ideas and concepts have been knocking around Washington since at least the 2nd George Bush administration. Against that backdrop, the president's announcement today is arguably timely, because the military space program may be approaching a moment of crisis. Mr. Trump made it clear in his remarks that he wants America to regain its lead in space across all relevant areas -- military, civil and commercial -- but it is in the military realm where great-power rivalry is most apparent. If the Pentagon doesn't step up its game, the nation's security will be significantly degraded. Now that these new, US space initiatives are being discussed seriously and publicly, expect national governments (such as Canada) and international organizations (such as the United Nations Committee on the Peaceful Uses of Outer Space) to slowly begin to move their own ideas forward. The full video of the June 18th, 2018 meeting of the National Space Council, including the president's speech, is available on YouTube for those who'd like to cut through the bias and spin of the traditional media. Mountain View CA based Swarm Technologies, the stealthy start-up co-founded by four silicon valley expatriates including Canadian born CEO Sara Spangelo, which launched four "unauthorized" and "dangerous" pico-sats back in January 2018 after failing to receive US Federal Communications Commission (FCC) permission for the launch, has made a second application to the FCC for permission to launch three more. As outlined in the March 12th, 2018 post, "Silicon Valley Company Co-owned and Run by a Canadian has Launched Four "Unauthorized" & "Dangerous" Pico-sats" the Swarm pico-sats are "built to a 0.25U cubesat form factor design) are considered extremely small and very difficult to track." Graphic Swarm Technologies via IEEE Spectrum. As outlined in the June 13th, 2018 IEEE Spectrum post, "Swarm Seeks Fresh FCC Satellite Launch Clearance While Still in Penalty Box," the FCC has not yet "decided on a punishment for its first offence." Its new application says that Swarm “urgently needs to demonstrate the viability of its proposed satellite-based communications network to technical and business partners, potential investors, and potential customers.” It is proposing to launch three Cubesats on a SpaceX rocket due to take off from Vandenberg Air Force in California later this year. The application comes as the FCC continues to mull whether or how to punish Swarm for the unauthorized launch of four tiny SpaceBee satellites on an Indian rocket in January. The FCC denied Swarm’s original application for the SpaceBees last year, citing concerns about their trackability from the surface and thus the possibility of collisions on orbit. ...while one of the satellites appears to be identical to the ones covered in the set-aside application, two others are significantly heavier. This could indicate that Swarm has taken advantage of the delay to modify them. Swarm did not respond to multiple requests for comment. The new satellites, called SpaceBee-9, -10, and -11, will test communications with ground stations in Silicon Valley and the state of Georgia. The company has less than two months to come to an agreement with the FCC. The scheduled SpaceX rocket could go up as early as September 1st, 2018 and SpaceX requires the satellites to be delivered to the launch facility, ready to go with the appropriately completed paperwork, one month prior to launch. Swarm seems to have required suprisingly little funding to have caused so much trouble. The company seems to have received only one phase one US small business innovation research (SBIR) grant/ small business technology transfer (SBTT) grant for $220K US ($290K CDN) as per https://www.sbir.gov/node/1155335 and a second, $741K US ($978K CDN) phase two SBIR grant from the National Science Foundation (Award Abstract #1758752 SBIR Phase II: An Innovative and Open Satellite-Based Internet of Things (IoT) Network). While most of the domestic space industry remains reticent about discussing updates and changes to the Canadian tax system in order to drive research and development, Russ Roberts, the Canadian Advanced Technology Alliance (CATAAlliance) Sr. VP of tax, finance & advocacy is at least willing to acknowledge and discuss the issue. As outlined in the June 12th, 2018 CATAlliance post "Making the Case for Canada’s 21st Century Tax Commission: Russ Roberts, Sr. VP, CATAAlliance," Roberts has issued a "Call to Action" for viewers to send CATA a "supportive quote" on the steps needed to make the tax system "fairer, simpler and more competitive." CATAAlliance considers their initiative to revise the tax system "imperative for Canada’s future prosperity" and says that further discussion of the issue "will bridge a 55 year gap since Prime Minister John Diefenbaker took the same step" when he appointed the 1962 Kenneth Carter led Royal Commission on Taxation. We continue to face massive transformational changes to Canada’s economy, in part driven by new technologies, such as blockchain, AI (artificial intelligence) and digital commerce. We must get ahead of the curve and have an open debate on how to create a tax regime for the 21st century. Aside from changing technologies and the impact of how other countries have updated their tax systems, some recent reasons for a new Commission include the Paradise Papers, which demonstrated the misuse of offshore tax havens, last summer’s federal Finance Minister’s small business tax reform debacle, and the shared view that one needs a degree in tax law to understand the complicated rules and compliance procedures of ours. For more information on this initiative or to contribute, contact CATAAlliance CEO John Reid at jreid@cata.ca and check out the June 13th, 2018 CATAAlliance post, "Quotes & Videos to Support a 21st Century Tax Commission: CATAAlliance request to Community members." Two stories in the news this week help to illustrate the current optimistic, pessimistic and essentially bipolar nature of the issues surounding our Canadian space industry. Mindful of his past, Hrynyk is also looking forward to his future. Photo c/o Jason Franson. 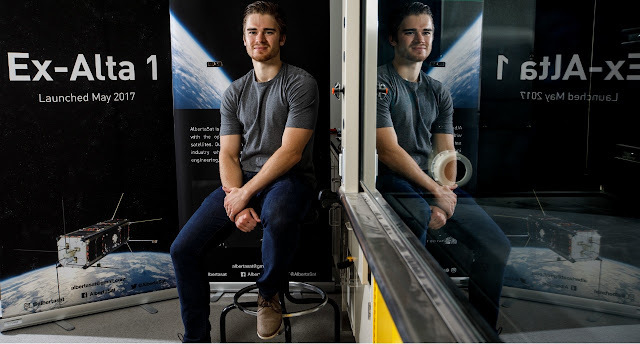 To begin with, and as outlined in the June 11th, 2018 Folio post, "Space odyssey continues for graduating engineer," a European based space start-up has offered a job to one of the graduating mechanical engineers responsible for the launch and ongoing operation of Ex-Alta 1, the University of Alberta's (UofA) successful microsat contribution to the international QB50 mission. I joined AlbertaSat at a perfect time to be part of the Ex-Alta 1 launch, and then go on to a leadership position on the team, and we won the Canadian Satellite Design Challenge (a competition for teams of university students to design and build a small, fully-operational satellite able to conduct a science mission). And now at the end of my degree, I’m so well-rounded, I’m able to move directly into the space industry. But he won't stay in Canada. 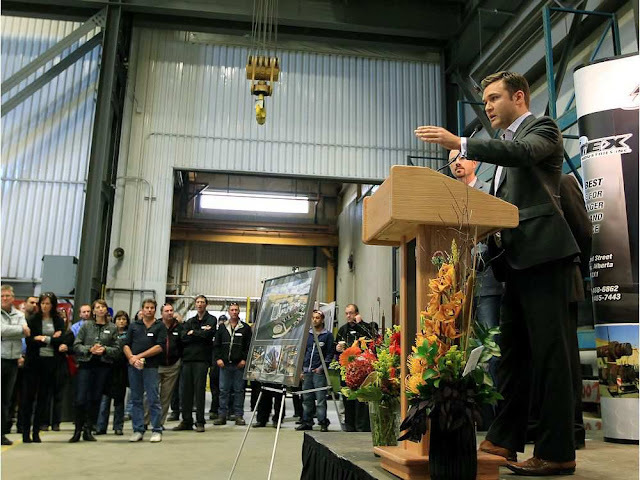 According to Hrynyk, he will work "at a job created for him at Innovative Solutions in Space (ISIS), a Netherlands-based startup that was also a service provider to AlbertaSat’s Ex-Alta 1 project." As outlined most recently in the February 8th, 2018 CBC Radio The Current with Anna Maria Tremonti discussion on our "Failure to launch: Canada's lack of a rocket program leaves us grounded, say experts," almost 50% of our graduating aerospace engineers and rocket scientists are forced to leave the country upon graduation, in order to find employment. 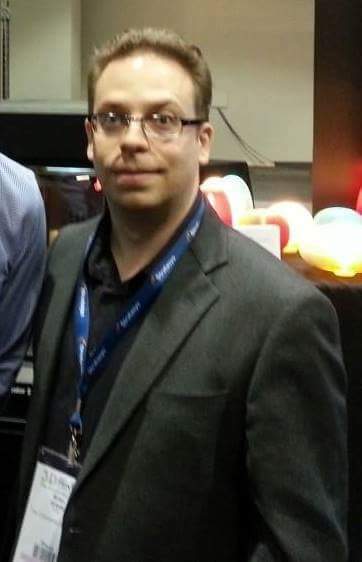 Hrynyk's new employer is a commercial spinoff from the Delft, Netherlands based Delft University of Technology. ISIS also designed and built the Ex-Alta 1 microsat bus and currrently manages more than 2,000 orbiting satellites. 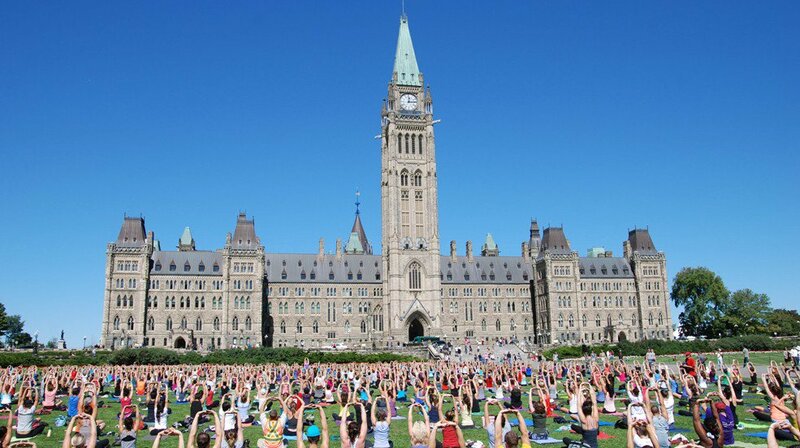 Free yoga on Parliment Hill. Who said the Federal government has never done anything for us. Photo c/o OttawaTourism.ca. For our second story, the Canadian Astronomical Society (CASCA) is in Ottawa this week to lobby the Federal government for the "long-term support of space-based science after Canada was forced to pull out of a high-profile NASA-led telescope project." As outlined in the June 13th, 2018 iPolitics post, "Space group takes to the Hill after Canada drops major NASA project," Canada recently withdrew from the NASA led Wide Field Infrared Survey Telescope (WFIRST) program because of a lack of funds. 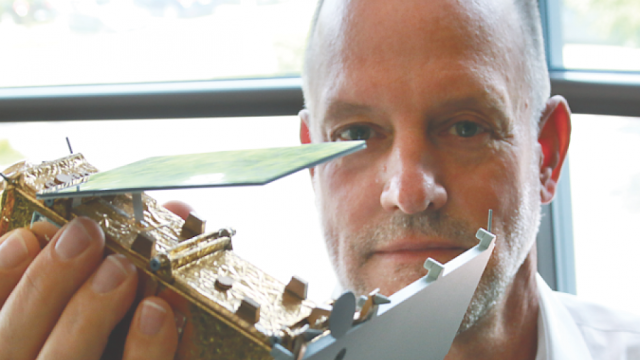 While these costs are estimated to be far higher than the costs associated with Ex-Alta 1 or even the 2000 other satellites currently managed by ISIS, CASCA president Robert Thacker believes that Canada’s reputation on the world stage is taking the hit because of the decision to drop out of WFIRST. We don’t want to be seen as a bad partner where we say yes we’ll develop something and then at the end of the day, when the money isn’t there, we say sorry we can’t contribute after all. It all boils down to the fact that we don’t have a long term plan about how the space agency is funded and operated. According to the iPolitics article, Thacker is hoping to restore the procurement capabilities and independance of the Canadian Space Agency (CSA) and then increase its overall funding to support WFIRST and other programs. CASCA has a long history of advising the CSA through the CASCA Joint Committee on Space Astronomy, which advises on matters pertaining to the space astronomy segment of the CSA space science program, including priorities, areas of research, selection mechanisms, funding areas and the extent of funding. Of course, CASCA's influence has waned with CSA's. As outlined in the December 5th, 2012 post, "What the Space Volume of the Aerospace Review Actually Says," CSA procurement capabilities and the ability to drive policy independently of government were capabilities mostly removed from the CSA as a result of the findings of the 2012 David Emerson led Aerospace Review. Emerson found ongoing "procurement problems" within the CSA, "and a lack of direction within government in general and the CSA in particular with regard to 'Canada's space program and its role in advancing national priorities.'" That lack of direction within government and the CSA certainly hasn't changed over the last six years and likely won't change in the future if the Federal government's only real option is to fling short term funding to resuscitate WFIRST. Some, including Thacker, seem to consider additional funds to be the only real choice although he's careful to couch the new funding within calls for "new government policies" and "long-term space plans" able to restore to our national space agency to its past glory. But others, including people like Tyler Hrynyk, are far more private sector focused and acting accordingly. They foresee a bright future, even though that future may not include Canada. Which one is right? Are there any solutions able to take both viewpoints into account? Right now, no one really knows how to thread this needle. 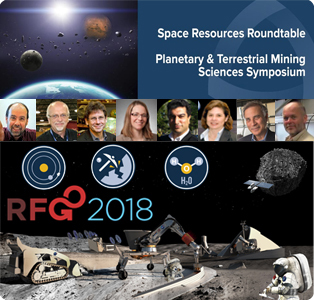 Our colleagues over at the Space Age Publishing Company have noted two events, focused around in-situ resource identification, utilization, extraction and ownership, which are being held this week, along with a third event focused around the more mundane concerns of terrestrial mining, where space mining is likely also going to be a topic of conversation. Interesting upcoming events. Graphic c/o Space Age Publishing. More than 100 space professionals, natural resources industry personnel, financial and legal experts, policy analysts, and entrepreneurs will discuss space manufacturing, power systems, transportation, property rights, and ISRU on Moon, Mars, asteroids, and other celestial bodies. SRR / PTMSS speakers include (L-R) Angel Abbud-Madrid, Dale Boucher, Stephen Mackwell, Melissa Sampson, Jim Keravala, Allison Zuniga, Robert Zubrin and Clive Neal. The Lunar Polar Prospecting Workshop, which will be held from June 14th - 15th at the Colorado School of Mines in Golden, Colorado in conjunction with the SRR / PTMSS. Sponsored by SRR, the NASA Lunar Exploration Analysis Group (LEAG) and United Launch Alliance (ULA), the workshop will develop a plan to characterize distribution, concentration, quantity, and properties of lunar polar ice to design extraction and processing systems. 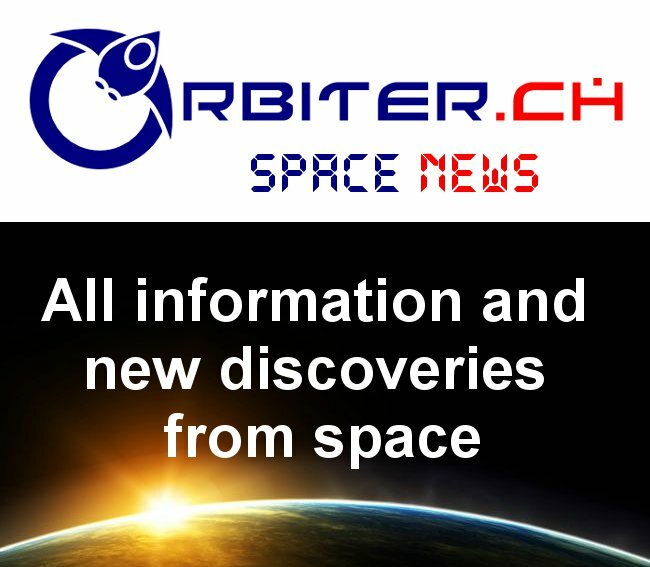 The recommended results will be provided to space agencies and commercial companies. As well, from June 16th - 21st, the Canadian Institute of Mining, Metallurgy and Petroleum (CIM) is hosting their 1st Resources for Future Generations conference in Vancouver, Canada. The event will feature more than 45 plenary & keynote addresses and 1,200 oral presentations on topics such as future of energy, resource ownership rights, Earth through time, water and mineral extraction. As outlined in the June 8th, 2018 post, "NRCan Explores Space Mining," the Federal government ministry responsible for natural resources, energy, minerals and metals, forests, earth sciences, mapping and remote sensing has reached out for input on space mining as part of its process to develop the Canadian Minerals and Metals Plan (CMMP). The three events seem like good places to collect background material for the CMMP. Motivated by the need to attract more students to aerospace engineering and encourage diversity, a new rocket competition has promised a $1Mln US ($1.3Mln CDN) prize for the first student-led university team to design, build and launch a liquid-fuelled, single-stage rocket to an altitude of 100 km (aka the Karman Line, the boundary between Earth and space) by the end of 2021. The Base 11 Space Challenge, organized by Costa Mesa, CA based Base 11, a nonprofit science technology engineering and mathmetics (STEM) workforce and entrepreneur accelerator, is expected to attract teams from across Canada and the US and will be sponsored by a wide variety of government, academic, industry and philanthropic groups. The contest will be held at the Truth or Consequences, NM based Spaceport America, which is also one of the sponsors of the event. Other current supporters include the Pasadena, CA based California Institute of Technology (Caltech),Vélizy-Villacoublay, France based Dassault Systemes, the New York, NY based Deloitte Foundation, the Washington DC based Smithsonian Institution, and the New York NY based Verizon Wireless. In addition, space industry leaders such as X-Prize founder Peter Diamandis and former US astronaut/plasma engine pioneer Franklin Chang Diaz have also endorsed the challenge. The Base 11 Space Challenge will motivate universities to bolster their rocketry programs and to empower students to learn far more than the theory of liquid propulsion systems by providing access to critical resources and to world-class experts. Students will acquire expertise in rocket safety, learn how to navigate flight regulations, and develop the essential skills of teamwork and innovation that are most in demand by forward-looking companies like SpaceX, Blue Origin, Google, Virgin Galactic, Northrop Grumman, Lockheed Martin, Dassault Systèmes, and Boeing. Teams will be encouraged to conduct outreach and provide mentorship to community college and high school students to better develop the STEM talent pipeline that includes women and ethnicities traditionally underrepresented in STEM. The Base 11 sign-up page was built by Vancouver BC based crowdfunding platform HeroX, using partnerships developed earlier with Culver City CA based X Prize Foundation during the Ansari X Prize competition. The X Prize Foundation was founded by Diamandis in 1995. Boosting the space industry’s talent pool by providing hands-on training in industrial safety protocols, systems engineering, propulsion, electronics, bench testing, computer aided design (CAD), navigation, flight regulation, diversity and inclusion, business development, teamwork, and innovation. Increasing minority participation in aerospace-related industries. In addition to the $1 million prize being offered to the first team to successfully launch to the Karman Line, Base 11 will award other milestone prizes for excellence in design, safety, testing, diversity and inclusion, outreach and innovation. The first such milestone prize expected to be awarded will be $50,000 US ($60,000CDN) for the best engineering design, safety plan, and outreach strategy. That milestone will be awarded at the 2019 Base 11 Aerospace Symposium & Expo, which will be held in May 2019. Registration opened on June 6, 2018. Participating Canadian university teams include the University of Toronto, University of Victoria, Concordia University and McGill University. Registered US teams include Purdue University, the University of Southern California (USC), UC Irvine, UC Berkeley, UC San Diego and Cal State University, Long Beach. The advent of the Base 11 Space Challenge, with its broad, well-financed support base, a focus on extending opportunity and a goal of strengthing the space industry as a whole sends a powerful signal. It is a sign that space advocates can learn from past failures and work together to bake a bigger pie, and not squabble over the scraps of a small one. After being dissed and dismissed for years by the Canadian Space Agency (CSA) and other government departments who would prefer to focus on other opportunities; space miners, asteroid hunters and domestically based in-situ resource utilization (ISRU) experts may have a new champion in Natural Resources Canada (NRCan). A June 6th, 2018 @MissionCtrlSS tweet thanking attendees attending the June 4th, 2018 "Expert Engagement on Space Mining seminar." According to the tweet, attendees included those from Brampton ON based MDA (@MDA_maxar) and the CSA (@csa_asc). The session was led by members of the National Research Council (@NRC_CNRC). Others in attendance who tweeted included Waterloo ON based Project Plowshares (@ploughshares_ca) and students from Sudbury based Laurentian University and other facilities. Graphic c/o @MissionCtrlSS. NRCAN, the Federal government ministry responsible for natural resources, energy, minerals and metals, forests, earth sciences, mapping, remote sensing and even administering the regulations under which Inuvik based ground stations operate (including the one last discussed in the May 31st, 2018 post, "Inuvik Mayor Calls Feds "Not Forthcoming" Regarding Private Sector Commercial Ground Station Application"), has reached out for input on space mining as part of its process to develop the Canadian Minerals and Metals Plan (CMMP). The CMMP is intended to help position Canada as "the leading mining nation" and to lay the foundation for lasting success at home and abroad, according to NRCAN documentation. As part of that plan, on June 4th, 2018 a small invitation only meeting called an "an Expert Engagement Session on Space Mining" was held in Ottawa, ON at the Carlton University based offices of Mission Control Space Services (MCSS). NRCAN and other officials were cautious about entering into public discussion on the forum, possibly over fear of a backlash from other government departments such as the National Research Council (NRC) and the CSA, who have traditionally taken the lead in this area and are known to jealously guard their turf in interdepartmental meetings. Those invited included terrestrial mining companies such as Toronto ON based Barrick Gold Corporation, Toronto ON based McEwen Mining and Toronto ON based Glencore; mining suppliers such as Sudbury ON based Deltion Innovations, Mississauga ON based Gedex, Nacka Sweden based Atlas Copco, Mississauga ON based Hatch Engineering, Mississauga ON based Boart LongYear, Mississauga ON based Metso Minerals Canada, and Toronto ON based Watts Griffis and McQuat; plus dedicated space mining companies including Redmond WA based Planetary Resources, Mountain View CA based Deep Space Industries and Cape Canaveral, FL based Moon Express (which each possess a strong cadre of Canadian employees). The list of attendees is unknown at this time. If enough of the invited did attend or expressed interest in the topic, there might possibly be enough interest to further explore ISRU issues within the context of the CMMP. In 2012, in the 2nd of its three part submission to the David Emerson led Aerospace Review, the Canadian Space Commerce Association (CSCA) submitted a paper on "Using Tools from the Mining Industry to Spur Innovation and Grow the Canadian Space Industry." Chuck Black is the editor of the Commercial Space blog. In 2012, he wrote the second part of the CSCA's submission to the Aerospace Review. Even the Aerospace Industries Association of Canada (AIAC) Thinks Canada's Space Industry Requires "Urgent Action"
The head of one of the bigger fish in the Canadian aerospace pond has come out in favor of "urgent action" to protect the future of Canada's space sector. 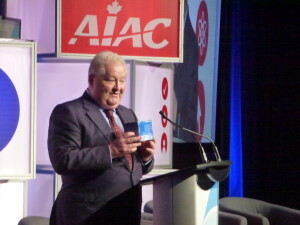 AIAC CEO Jim Quick at the 2016 Canadian Aerospace Summit, which was held in Ottawa, ON from November 15th - 16th, 2016. Photo c/o Philippe Cauchi/ Info Aero Quebec. Changes to innovation programming forget or ignore the realities facing Canada’s most innovative industry. The future of Canada’s space sector is in peril without urgent action. All of these challenges undermine our economic leadership and are negatively impacting bottom lines, jobs, and investment for many of our members. Quick made those comments as part of his "Message from the CEO" in the recently issued AIAC 2017 Annual Report, Looking to the Future, which provides an overview of the aerospace industry in Canada. As part of his message, Quick then went on to say, "As your association, we’ve heard your concerns. We know your priorities. And we know many of those priorities were not reflected at the federal level, despite our numerous efforts." The report includes policy updates in a variety of areas, including space in a chapter titled "Space; An urgent need to invest in the future." The front cover of the AIAC "2017 Annual Report, Looking to the Future." Graphic c/o AIAC. At our urging (the AIAC), the government created a Space Advisory Board to provide advice and recommendations regarding the development of a space plan for Canada. Through AIAC’s Space committee (chaired by Mike Pley, the former CEO of Cambridge, ON based Com Dev International and with AIAC Executive VP Iain Christie acting as staff lead), we worked closely with the Space Advisory Board and government officials to develop and advocate for the successful adoption of this space plan. We developed and implemented an advocacy plan targeting a broad group of political decision makers such as Members of Parliament, Ministers, and ministerial staff, educating them on the impact of Canada’s space sector on their files and constituents and the need for a long-term plan. Of course, no space plan has as yet been developed or implemented, although the advocacy continues unabated. The AIAC also continues to support Space Advisory Board chair Marie Lucy Stojak in her advocacy travels, most recently at the Canadian Aeronautics and Space Institute (CASI) ASTRO'18 conference, held this year in Quebec City, PQ from May 15th - 17th. Will that be enough? We'll find out soon. Canada still has a ways to go before we can compete with the Americans. But according to the Toronto, ON based National Angel Capital Organization (NACO), Canadian startups received $162.6Mln CDN from angel investors last year, so we might be starting to close the gap. Even better, the Toronto, ON based Canadian Venture Capital and Private Equity Association (CVCA) has noted that $690Mln CDN was invested in 139 Canadian technology companies in the first quarter of this year. As outlined in the May 30th, 2018 Betakit post, "NACO Report Says Canadian Start-Ups Received $162.6 Million from Angel Groups in 2017," among the key NACO findings was that Canadian angel groups made 505 investments in 2017, investing a total of $162.6Mln CDN. The NACO report also indicated that the average deal size reached $1.91Mln CDN, slightly higher than the $1.7Mln CDN average deal size 2016. The investments were dominated by deals in the information-communication technology (ICT) sector (44% of the total deals with 28% of the dollars invested) and the life sciences sector (16% percent of the deals with 22% of the dollars invested). was developed in partnership with the Government of Canada, BDC Capital, RBC, BDO, Ryerson Incubate, and Innovate Network Canada. The CVCA report, as outlined in the May 30th, 2018 Betakit post, "CVCA Report: Q1 2018 SEES $690 Million Invested in Canadian Tech," focused on a wider range of Canadian technology investments and didn't restrict itself to tracking only early stage start-up investments. this is a six percent increase from Q1 2017, when $649 million was raised. According to the report,the average deal size was $5Mln CDN, a five percent increase compared to Q1 2017. Three deals, with Toronto, ON based ecobee (an $80Mln CDN Series C round which closed in March 2018) Toronto, ON based Wealthsimple (a $65Mln CDN deal) and Vancouver, BC based Hootsuite (which closed a $65Mln CDN deal through CIBC Innovation Banking) accounted for a 34% share of the total investment this quarter. The full CVCA report is available online as part of the May 29th, 2018 Central post, "Q1 2018: Single PE Mega-Deal Dominates Quarter With All Other Segments Slowing; Robust VC Investment In Q1 Follows Two Back-To-Back $1B Quarters In 2017." For a person who's argued long and loud that Canada needs a new space strategy, it's instructive to note how much SpaceQ editor Marc Boucher disagrees with others who advocate essentially the same position, simply because they're on the wrong side of his political spectrum. As outlined in the August 30th, 2017 Edmonton Journal post, "Three Edmonton-area Conservative MPs named to new shadow cabinet," Jeneroux was appointed as opposition science critic in Conservative leader Andrew Sheer's shadow cabinet in August 2017. Photo c/o Edmonton Journal. An example of this would be his June 4th, 2018 post, "Conservative Party Letter Rips Into Liberal Government Over Space Program – Exclusive," which discussed the May 31st, 2018 letter from Federal Conservative party science critic Matt Jeneroux to Federal Liberal Innovation Minister Navdeep Bains on the topic of Canada's space program. I am writing to you with respect to the long-awaited Canadian space strategy. It was back in December 2016 that your government first committed to producing a long-term Canadian space strategy. At the time, you committed to a June 2017 release date, as well as to renew and make new appointments to the Space Advisory Board to conduct consultations on creating that strategy. The Board was not put in place until April 18, 2017 – a sure sign that the June 2017 strategy was already on a delayed schedule. The consultations have come and gone, ending in May 2017 when the Board had been in place for just over a month. However, following the release of the 2018 federal budget, the Board sent an email to stakeholders to express that they were ‘very disappointed with Budget 2018 as it did not include funding to address a space strategy.’ This wording draws concern that the well overdue strategy has to reach even the drafting stage. Boucher calls those statements a "politically charged opening," although they seem to be simply statements of fact and/or reasonable assessments of the situation echoed by many commentators, including SpaceQ. For example, the current board was indeed "renewed" or put in place on April 17th, 2017 as outlined in both this publication and others. And most of the rest of those "politically charged" statements were once presented as conventional wisdom in posts from multiple sources including the September 7th, 2017 SpaceQ post, "Rationale and Framework for a Canadian National Space Policy," and the March 7th, 2018 SpaceQ post, "The Space Advisory Boards Emails Stakeholders That it Was “Very Disappointed with Budget 2018." The complete May 31st, 2018 letter from Conservative party science critic Jeneroux to Federal Liberal Innovation Minister Bains on the topic of Canada's space program. To download a PDF copy, simply click on this link. Letter c/o Matt Jeneroux. ... the letter (from Jeneroux) takes issue with the Liberal government not just on a new strategy, but in how the government has dealt with Honeywell’s takeover over COM DEV and subsequent layoffs. It also takes aim at MDA becoming a business unit within U.S. owned Maxar Technologies, a strategy MDA initiated and created, and ownership of RADARSAT-2. Boucher calls "political hypocrisy" on those queries, mostly because the Conservatives were in power from 2006 to 2015 and they couldn't come up with a new space strategy, either. He blames the current Federal government's inability to come up with a space strategy on all the other more important items they have to deal with now, such as "NAFTA, trade wars etc" instead of considering circumstances common to both Conservative and Liberal administrations, which might indicate a pattern which could be addressed. Oddly enough, SpaceQ wrote one of the early stories on Cambridge ON based COM DEV International layoffs shortly after the company was purchased by Morris Plains NJ based Honeywell International. To be fair, the September 6th, 2017 SpaceQ post, "Cambridge Facility Sees Workforce Reduction of 49% Since Honeywell Acquired Com Dev International," was a pretty newsworthy post. Along with mentioning a far higher percentage of layoff than Jeneroux listed (35%, as compared to the 49% quoted by SpaceQ), the SpaceQ post even mentioned that, "just before the latest round of layoff notices went out, Honeywell reported better than expected second quarter results on July 21 with US$10.1 billion in revenues," but Honeywell went through with the layoffs anyway. When compared to the earlier SpaceQ post, the Federal Conservative party science critic doesn't seem to have been anywhere near that inflammatory or hypocritical in his letter. A quick reminder, courtesy of the March 7th, 2018 Bloomberg post, "SpaceX, Trudeau Will Help Lift Satellite Maker Out of It''s Slide, CEO Says," of what keeps Maxar Technologies CEO Howard Lance awake at night. Screenshot c/o Bloomberg. To be fair to Boucher a second time, SpaceQ has a long history advocating for the Colorado based Maxar Technologies MDA subsidiary, a company which used to be the Canadian based, but internationally focused, MacDonald Dettwiler and Associates (MDA). MDA currently sponsors the SpaceQ website and once maintained deep ties with the Federal Liberal Party. As outlined on her Linked-In page, current MDA director of public affairs Leslie Swartman once even worked as director of communications in the office of the official opposition (then the Liberal Party) from 2007 until 2009, and in two Federal government departments under the Liberals from 2004 until 2007. At one time, and as outlined in Part 15 of ,"150 Years of Canadian Aerospace History. More RADARSAT, More Astronauts, the CSA's Growing Importance, the 'Airbus Affair,' MacDonald Dettwiler & the 'Canadarm'," MDA was at the centre of Canadian space activities. It's only natural that the company would develop strong political connections with its major customer. Of course, the political connection is less true today, but the relationship between MDA and SpaceQ endures in articles like the October 16th, 2017 SpaceQ post, "As MDA Becomes Maxar Technologies Context is King," which mentioned RADARSAT-2 and delved into MDA 's new status as a regional office for a larger, US based company. The only real difference between then and now is that now, the Federal Conservatives are noting the situation and starting to ask the questions which make the ruling Liberals uncomfortable. The Conservatives and their surrogates are using MDA as political fodder to make the government look bad. Never bite the hand that feeds you. A June 4th, 2018 screenshot of the main SpaceQ website showing the ongoing advertising from Brampton ON based MDA, a subsidiary of the Colorado based Maxar Technologies. As outlined in the February 14th, 2018 Denver Post article, "DigitalGlobe’s parent Maxar Technologies will move its global headquarters to Colorado and hire 800 workers," Maxar is hiring workers for it's new HQ, although the situation in Canada is, at present, far more undefined. Graphic c/o SpaceQ. But there's nothing wrong with holding the government to account for its actions, especially if you're a member of the loyal opposition, who can oppose the actions of the sitting cabinet while remaining loyal to the source of the government's power, like Jeneroux. Besides, people should be uncomfortable over the current situation and questions need to be asked, even if those questions get asked during Question Period. In its latest editorial, SpaceQ seems to be discouraging the asking of reasonable questions, especially by an opposition party because the "Conservatives and their surrogates are using MDA as political fodder to make the government look bad." Sometimes the government needs to look bad. Without a general consensus that the government is "looking bad," there will be no incentive to improve. Perhaps a better solution would be to simply remind whichever government is in power that there is always someone else who has promised something better. The Federal Conservative party science critic has decided to explore the possibility of creating that better future and released a letter on the topic. This might goad the ruling government party (currently the Liberals) into action. And action always speak louder than words. SpaceQ editor Marc Boucher "clenching" while moderating a panel discussion at the 2017 Canadian Space Summit, which was held from November 21st - 22nd, 2017 in Ottawa ON. Photo c/o SpaceQ. Who knows. If this is indeed the beginning of a consensus, things would begin to move forward no matter who happened to be in power, which would be a good thing. The 2012 David Emerson led Aerospace Review enjoyed wide bipartisan support across the Federal political parties and seems like a good model to emulate. Once a solution becomes conventional wisdom, then both parties will rush to see who can implement it first and reap the political benefits. The space industry will win under this scenario. But that won't happen unless the space advocacy community and SpaceQ editor Boucher (often categorized by this blog as a "notorious space Liberal" because of his partisan political stances), starts to care less about who the messenger happens to be this week, and more about finding workable solutions to the current crisis in our space industry. Otherwise, there can be no "sunny ways," for our Canadian government managed space efforts. Editors Note: A June 4th, 2018 query into Federal Conservative party science critic Jeneroux's office has confirmed the authenticity of the May 31th, 2018 letter to Innovation Minister Bains. But, as always seems to be the case in the political arena, there will to be no immediate or easy resolution to this story. A scheduled June 7th, 2017 phone interview with Jeneroux to discuss the letter and learn a little more about why it was sent has since been cancelled by his office.